Browse > Home / Toot, Toot ! That’s Sid’s Horn Tooting – Find Out Why! I had hoped, prayed, and believed that our new book, "How to Live a Caviar Lifestyle On a Tuna Fish Pension at Safe, Beautiful, & Affordable Lake Chapala, Mexico", would be well received, but from early accounts it looks like it may be on the way to becoming the definitive book about Lake Chapala, Mexico. Many good books on our area have come before, and likely others will follow. But for right now, if you're interested in Lake Chapala, our book is the one to buy. Read the below reviews from verified purchasers, not from my buddies and family, but from regular folks like you, who bought the book and thought enough of it to take the time to write an Amazon review. THANK YOU, Thank You, Thank You, for the wonderful reviews ! OK, Here are the first 6 reviews. All 5 STAR * * * * *'s ! Have read Sid's blog for about a year. To refind info we had to flip thru posts to glean info we had seen or to find new info. In this book it was laid out in a organized order. Also it was a good read. I have been looking for a year at Chapala and the wife and mother-in-law a lot longer. We bought other books, but this is the best. We are leaving next week to go to Chapala, to see if we fit there. P.S. Loved the embedded QR codes (abbreviated from Quick Response Codes) with the info about different places and data. Thanks again. presents an excellent summary of the area. I read the entire book and enjoyed every bit of it. It was a real eye-opener to what life can be in a country so near and yet so far away for those of us who are not familiar with Mexico or have a misunderstood view of such a friendly and beautiful country. The book is very well written, and very organized. One can follow Sid's graphic explanation of Chapala and Jalisco as if you were actually there. As I was reading about Chapala and its surroundings, I felt like packing up and moving there, too. The book serves as a guide, a personal story, and a great description of the area. I give it two thumbs up. I read this interesting book in two sittings and was mesmerized by the information this savvy author offers. He knows his business, and he knows what people not only want to learn about vacationing or moving to his corner of Mexico but what they need to know as well. And we get the information in spades–warts and all. Grosvenor's writing style has something in common with the Bible: if he says something twice, it's important; if he repeats it three or more times, it's vital. So pay attention. He takes readers on a tour of Lake Chapala, Mexico, and in a chatty, friendly style, he fills us in on where HE would stay, eat, visit or just hang out. He tells us what a fair amount would be to pay for various goods or services, and he gives us a good idea of what the cost to live in the lake area would be for those on thin or fat budgets. Plus, he adds bonus advice such as how learning a little of the language will bring unexpected benefits from the Mexican population. He offers suggestions on how best to navigate the often murky halls of the Mexican bureaucracy and how to comport yourself with others that will bring the most positive results. I thought the price of the book was too much for a paperback, but that was before I had received and read it. And it was the first time in my life that I found a hand-written note inside a book I had ordered, addressed to me, thanking me for buying the book. Even more amazing, Grosvenor included his phone number in case I had questions. Remarkable. In short, reading this book is like visiting with an old and trusted friend. Five stars well earned! This book is a great guide to life at Lake Chapala. Sid Grosvenor's book is written in a down home. and laid back conversational style that is enjoyable to read. The quality of the book is excellent with embossed cover, glossy pages with large print, and a place for notes in the back of the book. I'll have it with me when we make our first trip to Lake Chapala in 2014. Sid did an outstanding job on his book. Even the cover and the pages are first class. I have been a long time member of the Chapala Club and relish reading every one of his posts. Having lived in Guadalajara for a year, I really yearn to return to Mexico and experience the Lake Chapala area this time. He really covered all the bases. I devoured the book yesterday when I received it and couldn't put it down until I finished it. If you are serious about Mexico, Sid is the "go to" guy. Now, you know why my horn is tooting. Get started on your possible new life at Lake Chapala. 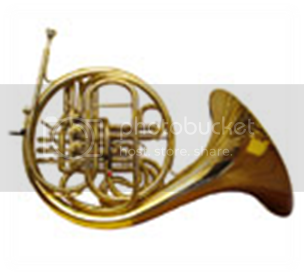 Who knows, you may soon be tooting your own horn from Lake Chapala. Here's the link to the order page Amazon Link. Thanks for reading these reviews. I hope they were enlightening. My husband is finally going to check out Lake Chapala for possible retirement. I’ve been working on him for awhile now and next year around February we will visit the Chapala area. My husband is a Mexican Citizen and he is the one concerned about moving back to Mexico which I find rather funny. Congratulations on the good reviews of your book. I think I will read it before we go.